During the first visit we take the time to get to know you and your pest concerns. Our service includes interior and exterior control. We will perform an inspection on the home as we apply an initial treatment were needed. We are looking for any hot spots in the home where bugs are or tend to be. We may treat around doorways, windows, baseboards, wet areas such as kitchens, bathrooms, laundry, etc. We want to push any bugs up and out of your home that may already be nesting. We will treat the attic for possible roaches and look out for signs of wasps or rodent activity since that's a possible way fleas and ticks could be introduced into the home. On the exterior we apply a full perimeter treatment during EVERY treatment. Generally, we treat 3 ft up the house and 5 ft out to create that protective barrier, also focusing on other hot spots throughout the yard. As we inspect the yard and fence line, we will apply a courtesy spot treatment for fire ant mounds. To finish it off the eaves of the house will be swept for cobwebs while mud dauber / wasps nests will be knocked down. Our technicians are trained in managing all kinds of pests from tiny house dwelling spiders to termites to furry varmints like the raccoon. If we notice anything of concern, we’ll let you know and give you our honest recommendations. We’re your pest guy so we’ll take good care of you! Now that we have flushed the bugs out, followup appointments are designed to continue to keep the bugs out of your home. 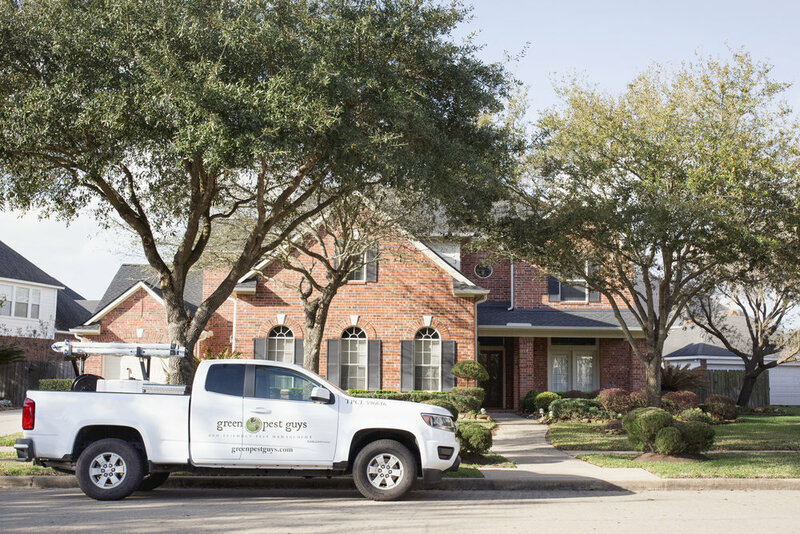 Our treatment schedule considers the Texas environment, product lifespan and gives you the peace of mind that the bugs won’t be coming back to re-nest. Each visit we will knock down any new mud dauber or wasps nests around the home and refortify the perimeter around your home. This being said we can come inside on any visit if needed, we just ask that you let us know before hand. Follow-up appointments are just a part of good home maintenance. Don’t see what’s bugging you on the list? 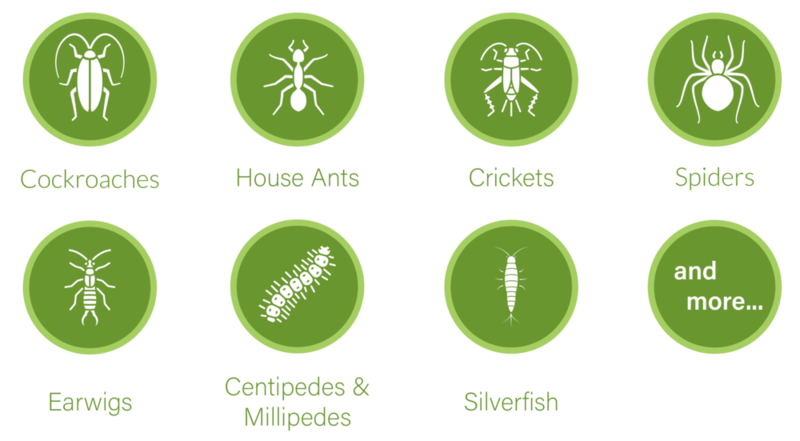 Refer to our other services, Pest ID or call us for more info. We promise that you’ll be satisfied with our service. If you notice any activity in the home between recurring treatments then we will come back for an interior re-treatment at no cost to you.